Our urban outfit made in a traditional Japanese color KAMOGAWANEZU – light-green or duck-mouse-colored. 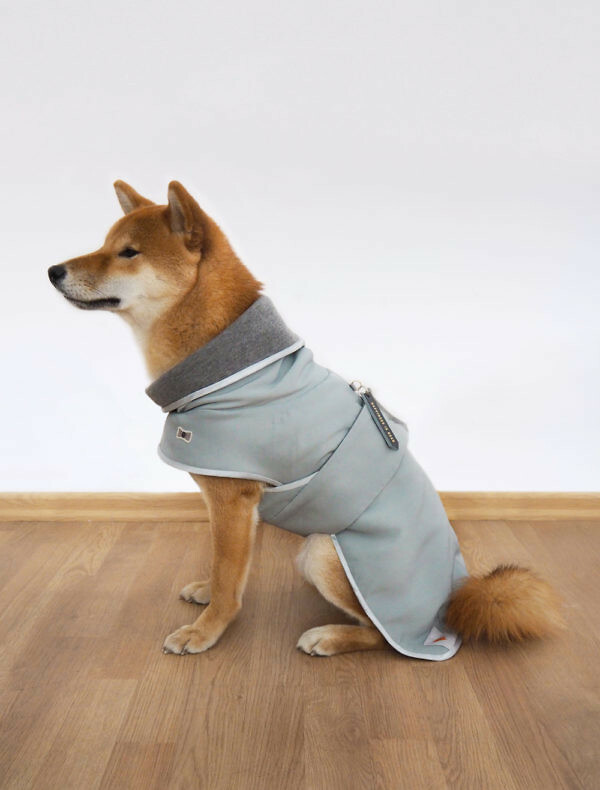 This coat will not look on a dog as a towel or a blanket. We developed the clothing pattern by ourselves to make the coat fit perfectly! 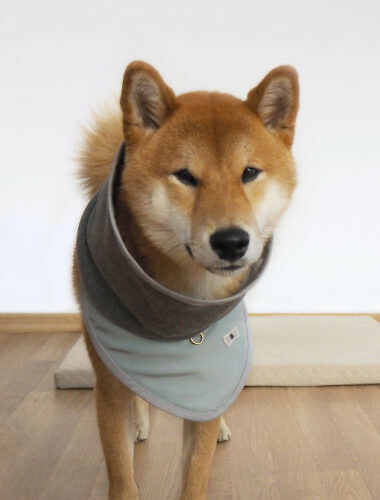 Prepare warm clothes for you – and your dog!